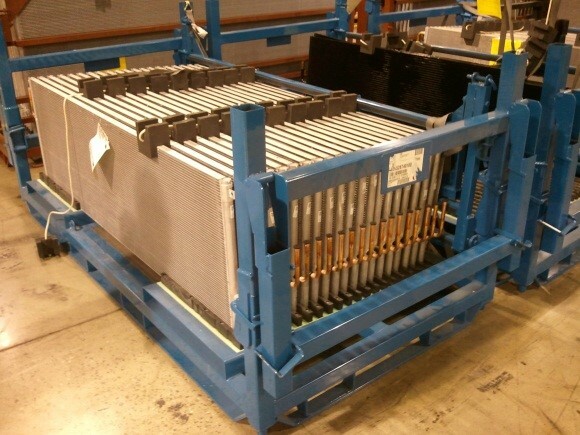 SPS's industrial shipping racks and storage racks are designed to safely and effectively move or store manufactured components and finished products. 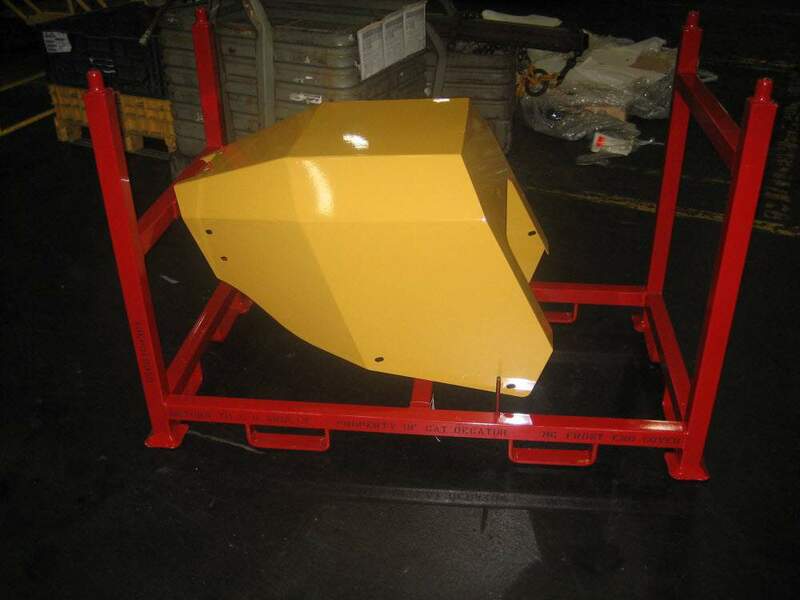 Our industrial storage solutions incorporate high strength molded urethane cushions and an array of other features including collapsible ends and stacking compatibility. Steel plate molded cushions provide better cushion shape control. Adjustable heights to fit all size products with clearance. 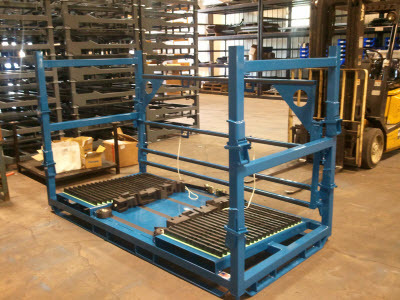 Save precious warehouse floor space with stackable compatibility when these racks are either loaded or unloaded. 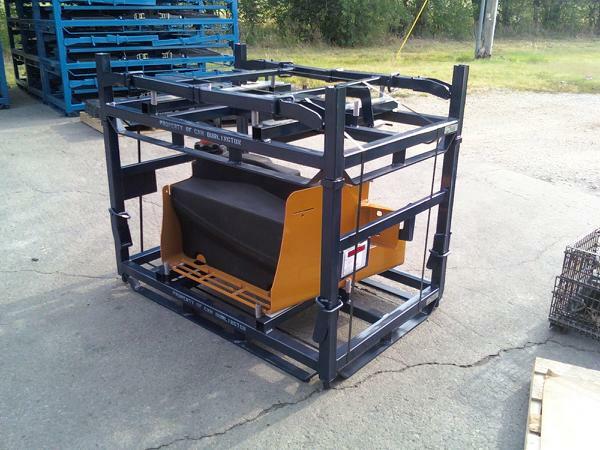 Shipping Racks can be designed to collapse for easy shipment or storage when unloaded. Our custom metal frames can be made from high quality USA made Steel or Aluminum to best fit your needs and cost constraints. All of our products are designed to be easily cleaned and maintained with safety in mind. 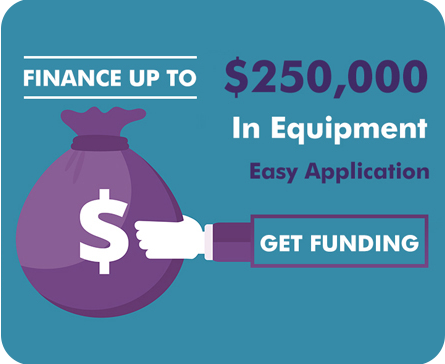 Our custom racks can help effectively reduce shipping costs and increase ROI. SPS Ideal Solutions (SPS), provides the best quality industrial shipping & storage racks and storage shelving units in various types, sizes, and material of construction. All our racks are manufactured using high-quality metal building materials and advanced technologies under the supervision of industry experts. 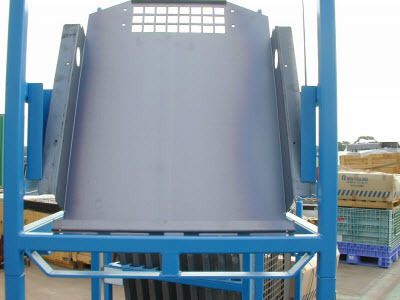 These racks are used in warehouses and various other commercial organizations for storing and managing finished goods. All of our warehouse storage shelving units and storage racks are provided at cost-effective prices. Industrial shelving units and storage racks are designed with their space saving designs. All of our heavy duty storage racks can feature foldable designs, which provides for significant consolidation of folded racks. Same size racks will stack when loaded or empty. All our storage racks and storage shelving units are easy to clean. This allows for easy maintenance, whenever required. 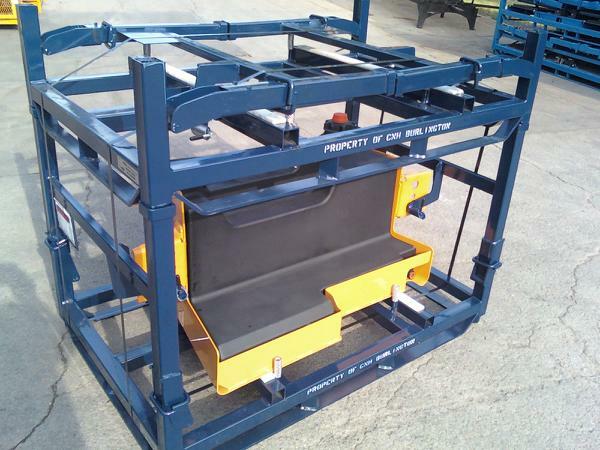 All our racks and storage shelving units for industrial applications are designed by keeping users-safety in mind. Our heavy duty storage racks and storage shelving units allow easy access of stored products. This is important for the busiest warehouse setups as it increases productivity, and minimizes time wasted on finding items. Also, the easy access is important for warehouses where forklifts are used to move products on storage shelves. SPS industrial shelving units and storage racks allow organizations to utilize the space efficiently. These storage shelving and storage systems allow vertical installation, which helps in effective inventory as well as space management. With such a wide variety of storage racks, you can easily select the perfect option for your inventory and warehouse. At SPS, we conduct rigorous FEA testing to calculate load stresses to reduce structure failure. Constructed using heavy duty steel. State-of-the-art lasers used to cut the racks precisely. Automated production systems ensure high levels of accuracy. 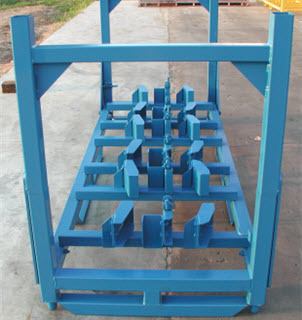 Folding design allows racks to be stacked on top of one another.